As a retailer doing a renovation, the most important thing is to not have the renovation disrupt. When you’re in pre-planning phases, take a look at the areas of the business which will feel the most impact during the renovation. Your plan should always be built on the premise that you've examined the possible revenue impact of each aspect of the renovation. Secondarily, you need to account for look and feel of the space, examining whether or not a certain phase of renovation would create aesthetic disruption, and in which areas. Consider these goals before you begin the planning phase, so you can address the primary hotspots in your design. The areas of the warehouse that see a lot of action, so to speak, are the ones you need to focus on. 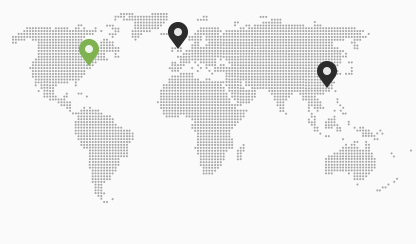 With knowledge of these hotspots and revenue generation mechanisms, you can start to design around downtime. It's time to assign resources in a way that will spread out the impact you've identified, such that the hotspots feel less of the burden. There are a host of options when it comes to planning spaces in order to maximize uptime and minimize downtime during a renovation. Incorporating new aisles and the product flows to accompany them can't be accomplished smoothly and efficiently without going beyond training. 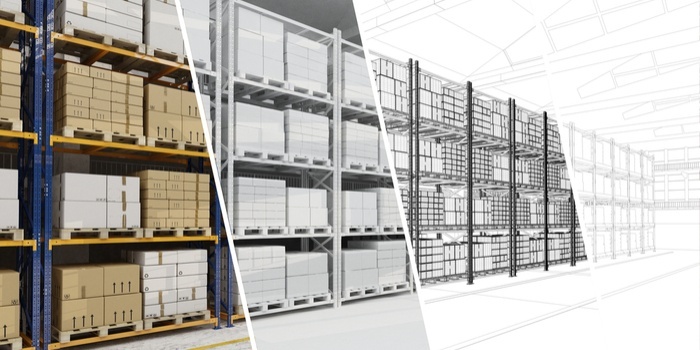 Good space planning is also a matter of purchasing the right warehouse solutions. That's because with change comes risk. For example, a forklift driver might have cruised his regular route through the warehouse for a decade when, one day, his route's different. Just a review session and a couple of cones won't do the trick for preventing damage to your product, people or equipment. In anticipation of a crash, you need to segregate valuable machinery and product and build in safety protections, such as flexible bollards, which help dissipate energy. Additionally, you can use high quality, clear signage to address the aesthetic issues and the inconvenience renovation tends to bring with it. That will help warehouse and office staff and any visitors maintain their distance and know what to expect, possibly saving you some downtime. Placement isn't just important to bollards and signage. Product and machine placement is also a major factor in a successful renovation. You should involve both inbound and outbound goods managers in the renovation planning process. Everyone needs to be on the same page about product placement and product flow, and you all need to agree that everything has a home. Further, it's important these managers understand how their areas will be impacted by the renovation, so they can meticulously plan how to best use the time while that area is inaccessible or inoperable. In addition to the inbound and outbound managers, you should involve your HR manager and your facilities manager — the former for helping any departments or team members navigate moving to a new space, the latter to understand the current conditions and needs in the warehouse and allocate resources accordingly. The first thing you need to do is gain insight on the current trends and strategies in material handling. There is always a huge amount of insight available on the way product moves and flows, and the way the warehouse environment is changing. If, ten years ago, you did not consider the future, you'd definitely be doing another renovation now, due to gains in automation. The best-in-class subject experts anticipated that over a decade ago; with that insight, you can even future-proof in order to limit downtime on a longer scale. Solicit feedback from these sources. From equipment manufacturers to forklift companies, from trucking titans to machinists, there's a lot of information available about the way the warehouse world is headed. If you want to build something that lasts 15 years, soliciting feedback isn't optional — it's step one.